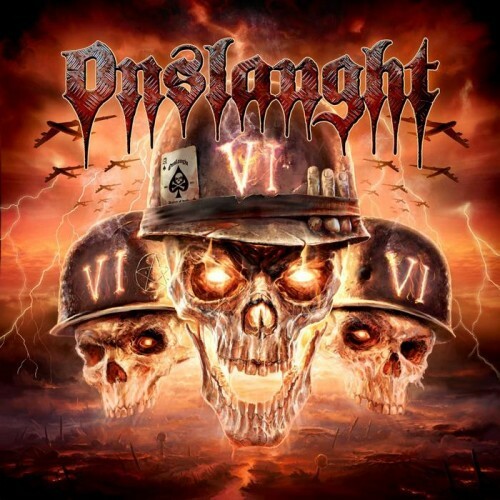 With the appropriate called album VI Onslaught unleashes their sixth studio album. The British thrash scene is almost non-existent compared to the US or German scene, but Onslaught is as steady as they come in delivering above average material as predecessor Sounds of Violence has shown. With VI Onslaught immediately shows their listener that they’re a thrash force to be reckoned with. Really groovy thrash metal with nods to the old school to keep it honest, but without losing touch with the nowadays scene. The result is a really entertaining album! Enough variety to keep it interesting and played with such an addictive groove that not headbanging is completely impossible. Sy Keeler again blows me away with his flexible throat. High pitch shrieks in the best Overkill fashion or Sodom like maddog biting vocals, no problem for Sy! Are there better thrash vocalists at the moment? He makes it possible to sound aggressive, but still takes you with him in his lyrics and in his world (‘Cruci-fiction’ is an excellent example of this). It is possible to sound aggressive without being completely not understandable! Next to that also big compliments for Nige and Andy, just listen to ‘Children Of The Sand’ and you’ll know what I mean. Nice soloing, but not overly high tuned laid on top of thick and heavy riffs. What a joy! Same goes for Michael Hourihan and Jeff Williams, the cement between all the musical prowess of their compagnons. Onslaught came through with again another excellent album. I have ordered my copy of VI already and if you’re calling yourself a thrash head you should too!